Ursula L. and Karen G.
Do you want some Agility ring time for you and your team-mate at our newly AC cooled club? For Young dogs, Currently Competing dogs and your favorite K9 in their golden years any level are Welcome! Join us Sunday Mornings at 8:00 am (pre-registration only) $15 per dog. Scheduled CABTC AP&P sessions will vary from week to week depending on events or trials. 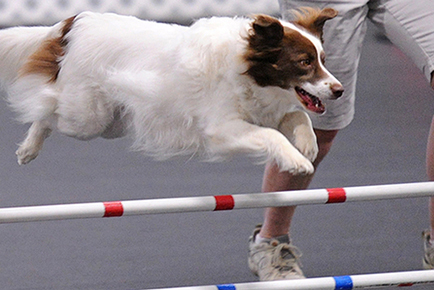 Perfect for CABTC members or current students who cannot commit to a weekly agility class. Max 8 dogs per session. Members or current students can sign up for a specific CABTC AP&P Sunday that is available, first come, first serve. Run a pre-set course, work on an obstacle(s) or toss a frisbee or ball, your choice. You may run a course with or without instructor assistance in a designated time limit. Facilitators/Instructors are Karen Groth and Ursula Lehman, both with multiple AKC Master Agility Championship Canine Partners. We can assist New Beginners to Masters..
*Pre-register by Thursday night w/Karen or Ursula to limit overbooking. You will receive a confirmation for your spot and specific instructions for the session. No shows or last minute cancellations are strongly discouraged. Watch for more sessions in the future! Want to try FAST, T2B, or Premier? Watch for updates for class simulations and runs!